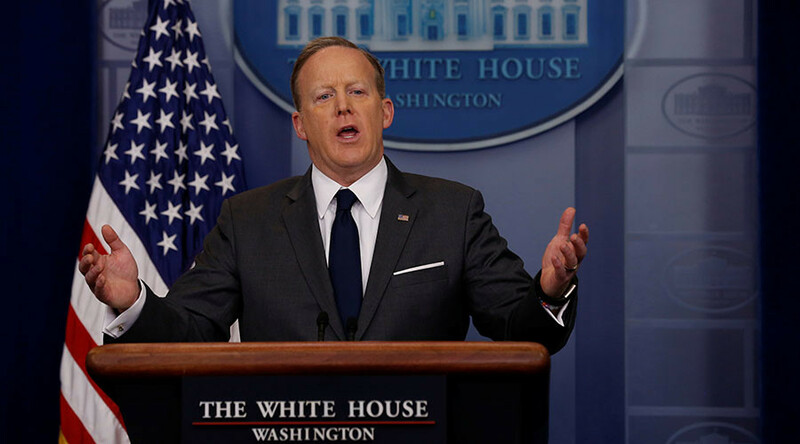 White House Press Secretary Sean Spicer caused a stir on social media after he got into a heated exchange with veteran journalist April Ryan over the 'perception problem' facing the Trump administration. It's not the first time that President Trump’s spokesperson has been the focus of attention as his clash with Ryan, who is American Urban Radio Networks’ White House correspondent, went viral on Twitter. Ryan, who has been in her role since Bill Clinton’s second term, began asking a question about the various controversies facing the White House before Spicer interjected. “Two and a half months in, you’ve got this [Sally] Yates story today, you’ve got other things going on, you’ve got Russia, you’ve got wiretapping,” she started. “No, we don’t have that,” objected Spicer. “I’ve said it from the day I got here until whenever that there is no connection. You’ve got Russia. If the president puts Russian dressing on his salad tonight, somehow that’s a Russian connection,” Spicer said. The quip instantly spawned a raft of Twitter jokes about the unglorified sauce. The dialogue between Ryan and Spicer escalated as Ryan expressed her disapproval of the press secretary’s answers. “You’re shaking your head. I appreciate it,” Spicer said sarcastically. “At some point, April, you’re going to have to take no for an answer with respect to whether or not there was collusion,” he continued. The acrimonious exchange continued when Spicer took issue with Ryan’s refusal to accept his responses. “I’m sorry, please stop shaking your head again," he said sparking another avalanche of tweets. He also prompted a flurry of speculation when he attended a press briefing wearing an American flag pin upside down, an official distress signal. He later dismissed the incident as a mistake.